After flying up to Inverness on Friday afternoon we headed over to near Ullapool with a plan to climb some of the Fannichs the next day. Unfortunately after driving west the forecast somewhat deteriorated as the wind got stronger and the amount of precipitation increased. 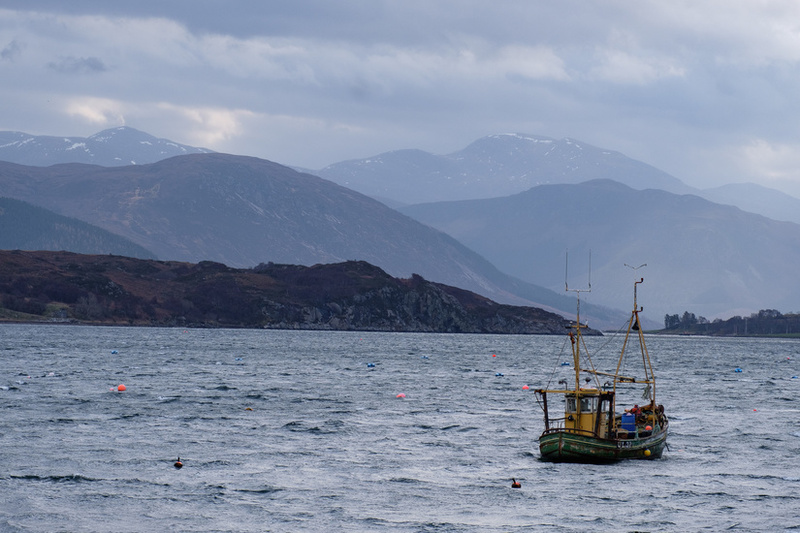 Due to this we had a lie in in the morning and headed into Ullapool for breakfast. 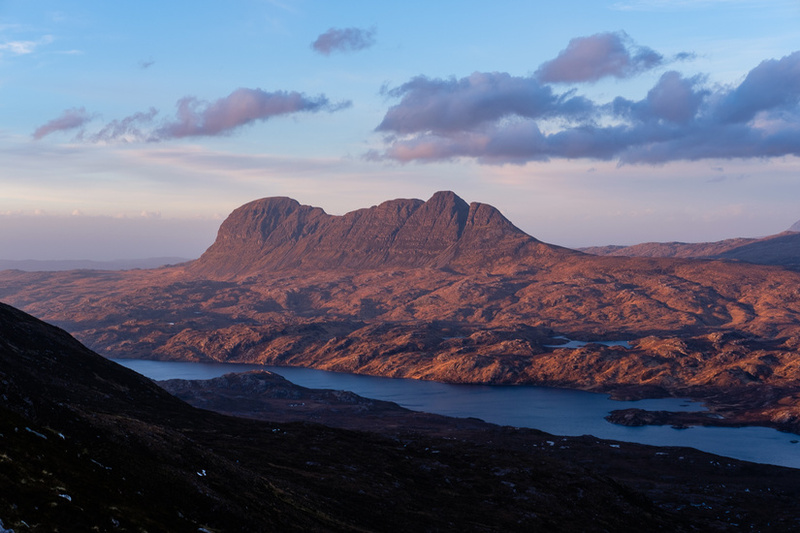 We decided to head slightly further north to the fine Corbett of Cùl Mòr which is an isolated hill in the Assynt Mountains with fantastic views in every direction. The ascent was fairly windy at times, but the views to the north were spectacular which made the ascent interesting. 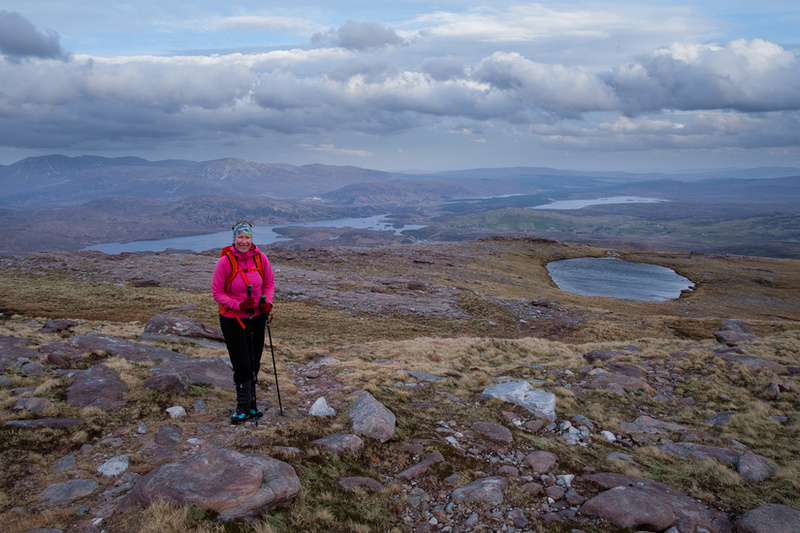 After we got to the col between the two summits we were greeted with a fantastic view towards Stac Pollaidh and the Achiltibuie peninsula. 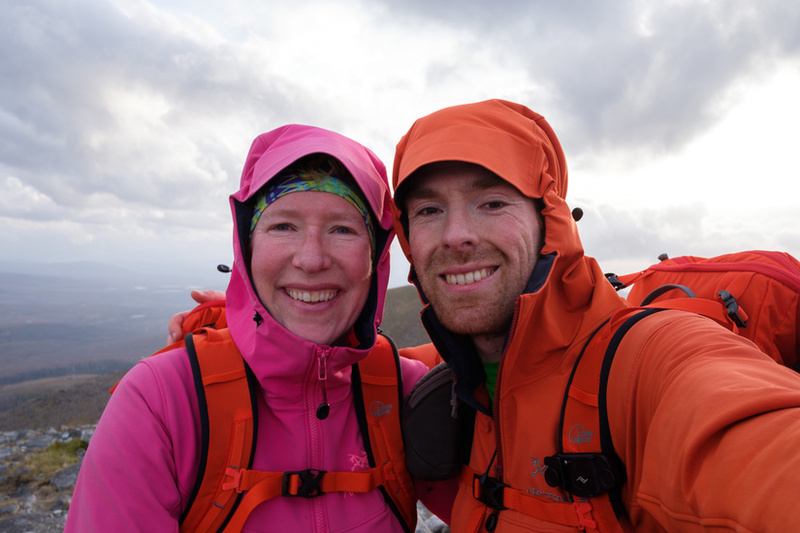 As we made the final ascent to the summit the wind increased and made walking extremely arduous, I was very glad to only be spending a short period in the full force of the wind! 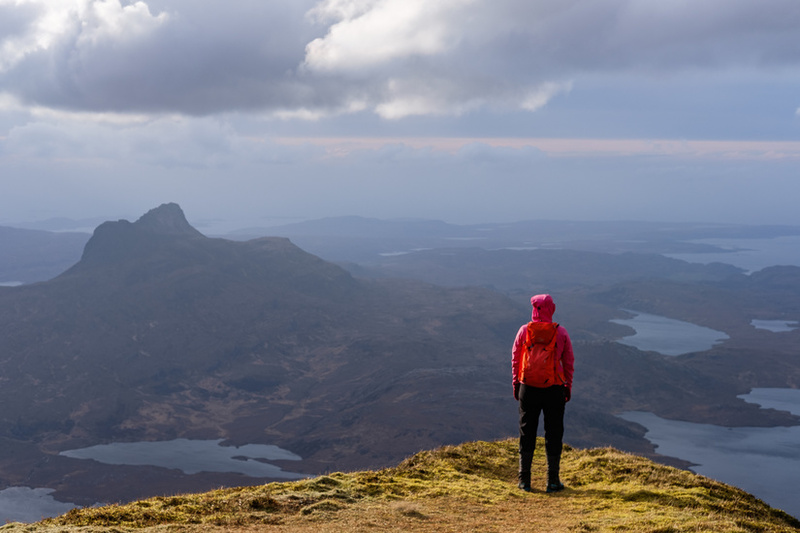 I was hoping to get fantastic views on the descent of Suilven, Quinag and Canisp in the afternoon sun, however the cloud on the horizon and the haze had other ideas. As we were descending I had pretty much abandoned any more photography when the light went from a dull flat haze, to a beautiful red sunset light. After a quick run across the mountain I managed to get a full view of the three mountains which were all bathed in this stunning light. After a stressful 4 mins of photography the light vanished as quickly as it had appeared. We got back to the car as it was getting dark after a brilliant day in the beautiful far North West of Scotland.